Much has been said in the blogosphere concerning Joel Osteen’s comments that Mormonism is basically Christian and that Mormons are his brothers. This post follows my previous two posts that can be found here. 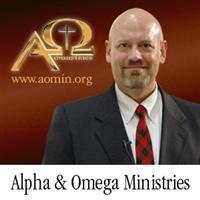 James White, from Alpha and Omega Ministries, has preached the gospel to Mormons and also debated Mormons. He has also written a book on Mormonism and has made available at his blog a short course on Mormonism. So, if you—or perhaps Joel Osteen—would like to find out what Mitt Romney and Mormons really believe, then read what James White has written concerning Mormonism.